Many working people visit this place after work with their friends or alone. 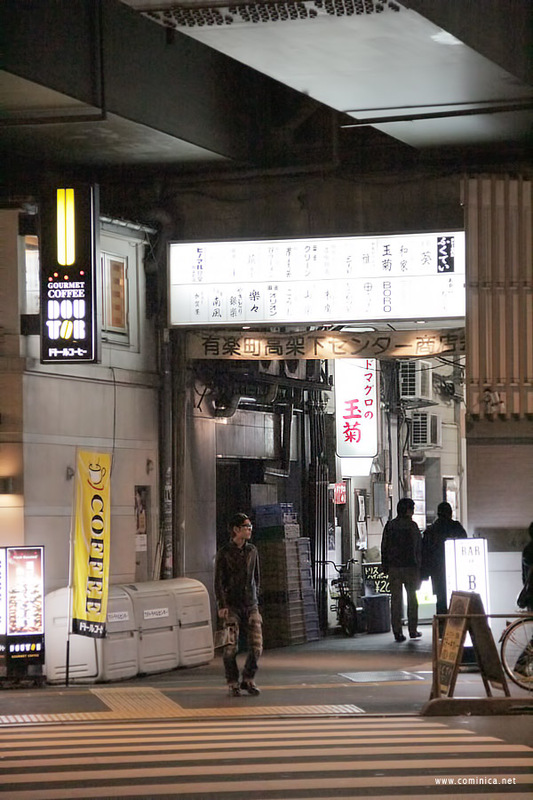 This small district also known as Gado-Shita because packed with many restaurants under the train track. 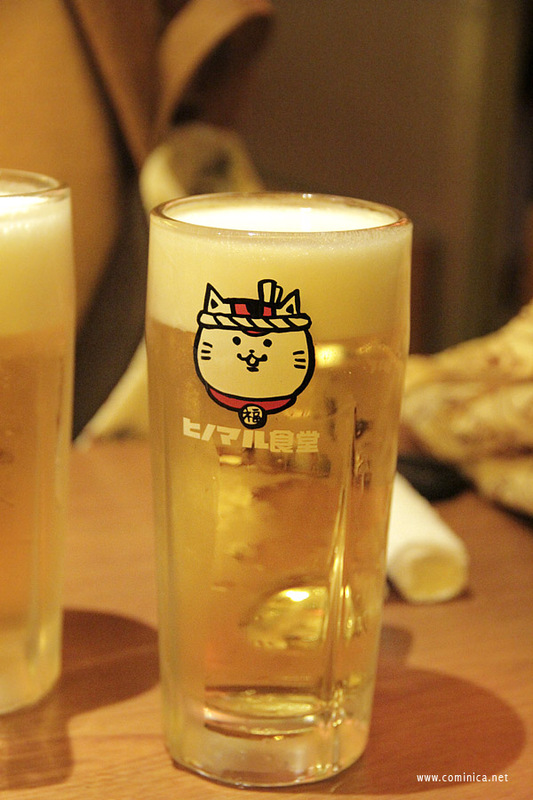 Yurakucho is a good old place where one can grab a cold beer and some casual good eats. Well, this is what we're looking for, we want to try different atmosphere for our night. A wide range of other dining establishments can be found there, as well, including elegant French wine bars, Italian restaurants, etc. We hesitated many times to directly enter some restaurants because the Local's there mostly can't speak English. And Vina stopped at a random Curry shop, after I took this picture she immediately wave her hand and pointed her finger to the shop. All the foods there looked nice and the weather was super cold that time, we thought that Curry could warm and fill our tummy. And because we want to eat Yakitori and have some drinks after that, we only ordered one portion and share together. We both confused about the machine's system because it's different with the one at C&C Curry House. But the kind chef slowly approached us and talked in Japanese then change to Chinese language after he realised that we're not Japanese (LOL), I can speak a little bit mandarin sooooo I got it. 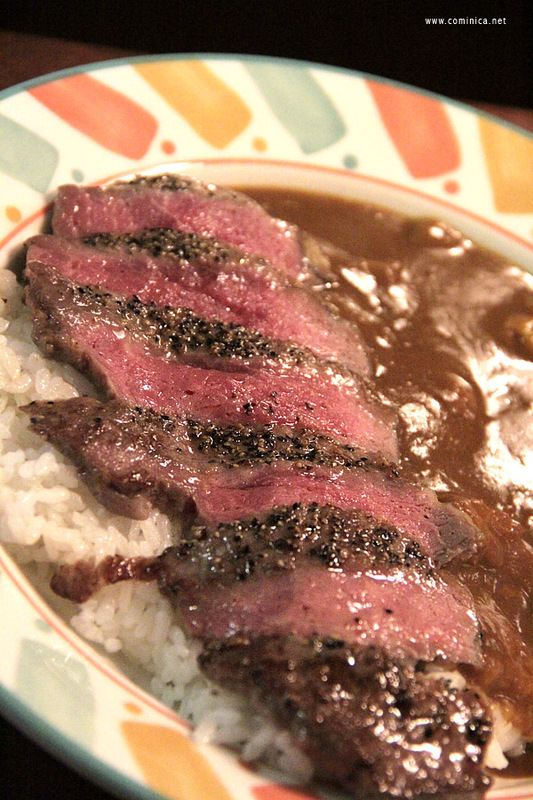 This is a curry rice with half cooked meat with black pepper on the edge and it's so delicious! After eating we go outside again to find Izakaya, actually there're so many Izakaya so we kinda confused which one we should try. And we prefer if it also sells some yakitori. And tadaaahhhh! This restaurant looks nice and quite big, they sell beer and some yakitori and snacks too, yeay we were so excited haha. This restaurant is filled with many working people and middle aged. See that Neko character? I think that is their mascot or something bhahah so cute. I think this restaurant named Hinomaru Yodo (Restaurant). The beer seriously good and The Yakitori also so oishii. We ordered a mushroom wrapped in bacon, a beef and a chicken skin yakitori (if I'm not wrong). I really enjoyed my time there because Japan is very safe, even at night. We can walk freely without afraid of anything. Haha. But I used to be very aware of my surroundings so I'm still very careful. I love your cute and cool outfit !! !